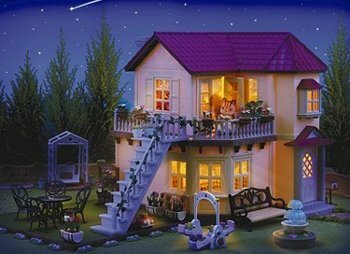 Beechwood Hall is a wonderful Sylvanian Families home with working lights. It has two floors to give access to all five rooms. 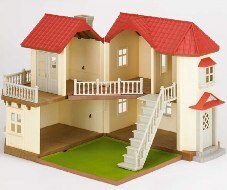 There is a landing that can be added to the first floor and a reversible base for the ground floor, which can be turned over to create a garden area for your Sylvanians. Beechwood Hall shares a number of parts with Willow Hall, they both use the same shell. Internal Balcony Rails Railings for the small balcony when the house is opened. Enter "A" for the end section, or "B" for a middle section. This is the set of five sections, designated A to E starting from the front of the house.